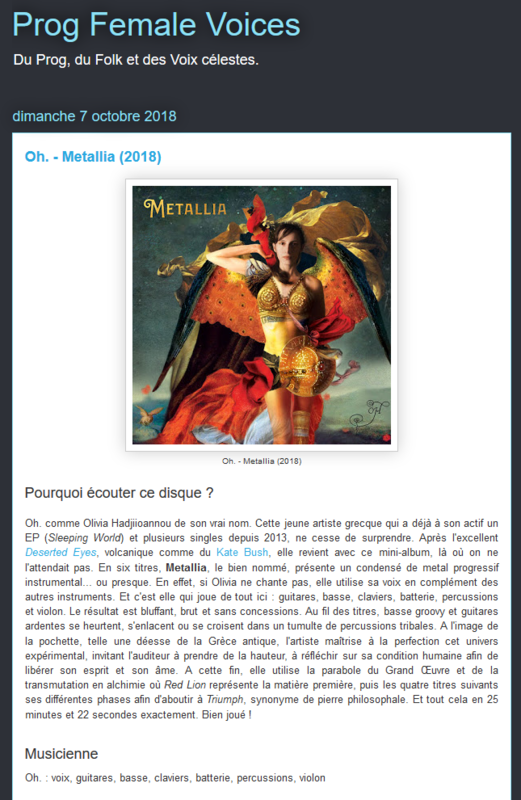 Review of Oh.’s “Metallia” by Sébastien Bonnays on Prog Female Voices — Oh. 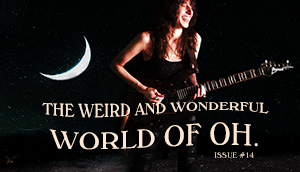 A sparkling review by the author of “Prog Female Voices,” Sébastien Bonnays. 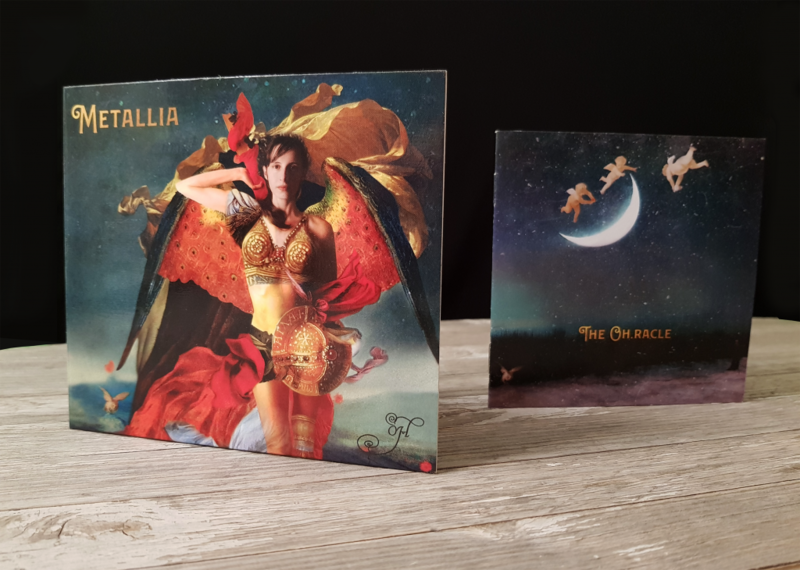 Visit his blog, to discover all the wonderful music he writes about and read the review in French about “Metallia”. Merci beaucoup pour cette merveilleuse critique! Why listen to this record? Oh. as Olivia Hadjiioannou by her real name. 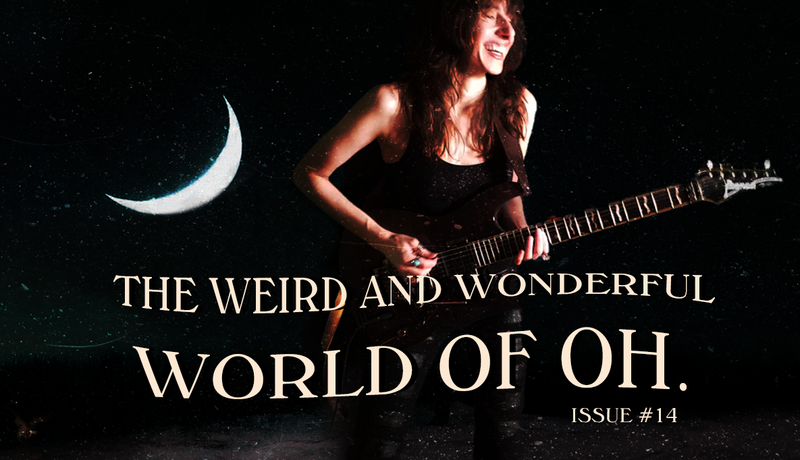 This young Greek artist who already has an EP (Sleeping World) and several singles to her credit since 2013, continues to surprise. After the excellent Deserted Eyes, volcanic-like Kate Bush, she comes back with this mini-album, where we didn’t expect her. 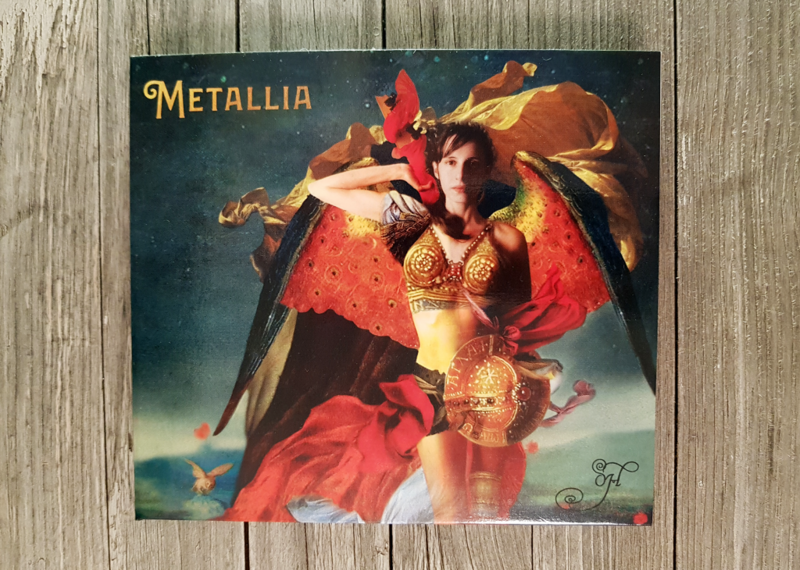 In six tracks, Metallia, the well named, presents a condensed version of progressive instrumental metal… or almost. 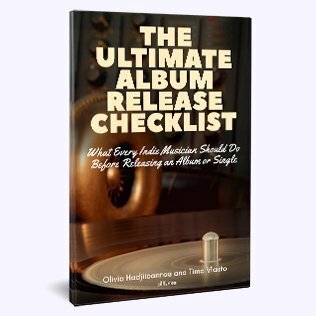 Indeed, if Olivia does not sing, she uses her voice as a complement to the other instruments. 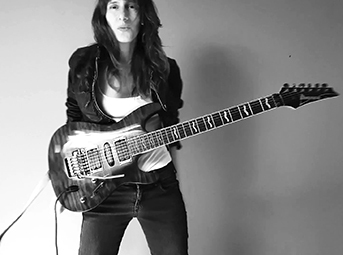 And it is she who plays everything here: guitars, bass, keyboards, drums, percussion and violin. The result is stunning, raw and uncompromising. Over the tracks, groovy bass and fiery guitars collide, embrace or cross paths in a tumult of tribal percussion. Like the cover, like a goddess from ancient Greece, the artist perfectly masters this experimental universe, inviting the listener to take on a new dimension, to reflect on his human condition in order to free his mind and soul. To this end, she uses the parable of the Great Work and transmutation into alchemy where Red Lion represents the raw material, then the four titles following its different phases to arrive at Triumph, synonymous with the philosopher’s stone. And all this in exactly 25 minutes and 22 seconds. Well done! Well done!